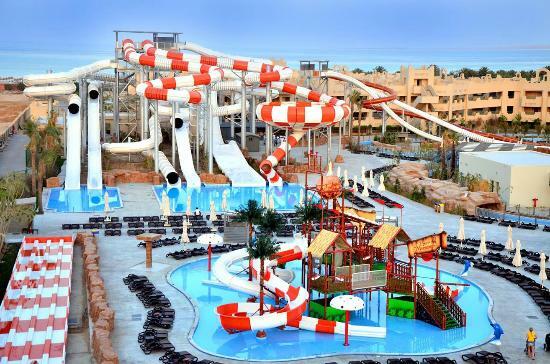 Your Holiday Claims have helped a family claim a total of £11,200 in compensation after their stay at the Coral Sea Waterworld was ruined by gastroenteritis on holiday. Julie Slater, 44, from Derby, was staying at the resort in Sharm El Sheikh, Egpyt with her husband Jonathan, 44, and two children Lauren, 20, and Ben, 14. They planned to celebrate their 19th wedding anniversary but Mrs Slater was struck down with illness three days in before celebrations could get underway. She started to suffer from an upset stomach, cramps and diarrhoea and then vomiting and shaking which left her feeling weak and faint. She described the illness as having a domino effect on her family, with each of them being struck down with similar symptoms. Mrs Slater said: âI was frightened as I was quickly deteriorating. As I continued to get worse I was worried that when the time came I would not be well enough to return homeâ. After contacting reception, Mrs Slater was treated at the onsite clinic with intravenous fluids and medication before returning to her room where she collapsed. She spent most of her time in bed trying to recover before being treated as an inpatient at a local clinic for two days, it was there that she was diagnosed with having contractedÂ acute gastroenteritisÂ on holiday. After being declared fit to fly, the family returned home but Mrs Slater was still feeling very unwell. When back in the UK she promptly made an appointment with her GP but went to A&E after her symptoms became unbearable. She was again treated with intravenous fluids and doctors confirmed that she was suffering acute gastroenteritis and moderate dehydration, resulting in her having to take two weeks off her job as an administrator to recover. A year and a half later she has noticed ongoing problems with her health but they are slowly improving. With over 50 years combined experience in the travel law industry, Your Holiday Claims were able to help the family claim a total of £11,200 in compensation for their ruined holiday. Mrs Slater said: âI would like to thank Anne for all of her help and support throughout the process. We were all very pleased with the outcome of our claimâ. Head of Travel Law at Your Holiday Claims, Anne Thomson, said: âIm delighted that we have been able to help this family claim the compensation they deserve. âJulie endured a pretty horrific time with gastroenteritis on holidayÂ at this hotel and it continued to have a huge impact on her after returning home. âHopefully now that their claim has been settled they will be able to put this ordeal behind them and enjoy many more holidays together, albeit free from illnessâ. Have you been affected by gastroenteritis on holiday? If your holiday was ruined by gastroenteritis on holiday, you can talk to our dedicated solicitors by calling, 0330 100 2851. Or, you can read more on how our experts can help you make a gastroenteritis compensation claim here.